You sent an important email and you’re eager to get a reply. 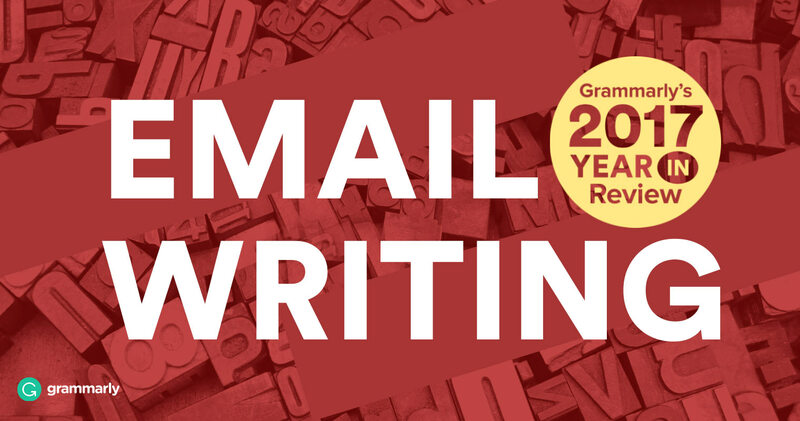 You end your message with “I look forward to hearing from you.” Did you make an email faux pas? Is It Okay to Use “Looking Forward to Hearing From You”? Whether or not to use “I look forward to hearing from you” or “I’m looking forward to hearing from you” depends on the context and purpose of your letter. It lets the recipient know that you’re hoping for a response. It’s a bit canned. Everyone uses it, so your recipient might ignore it. It puts you in the waiting position, unable to move forward until you hear from the other person. Although plenty of business emails end with this phrase, there are better options. 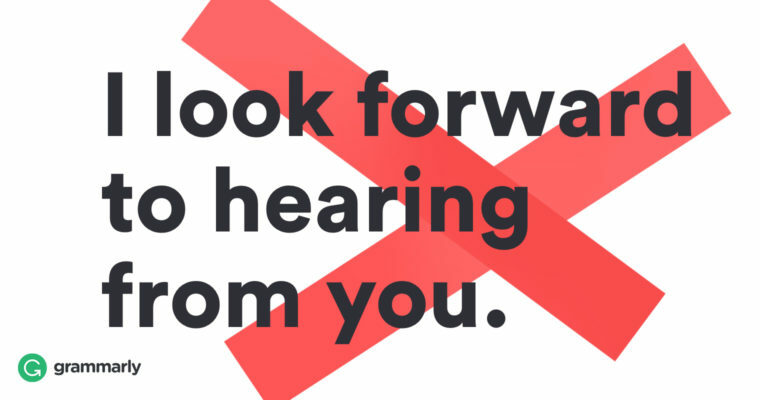 At best, “Looking forward to hearing from you” is invisible—a standard closing phrase that recipients tend to disregard. (When was the last time you read “I look forward to hearing from you” and thought Gee, how nice! I think I’ll respond immediately? Right. You see what we’re saying.) At worst, it’s presumptuous and even a bit snarky. Good email communication eliminates guesswork for the recipient. The problem with “I look forward to hearing from you” is that it removes you from the active role and puts you in a subservient one. Now, you’re just waiting passively for a response rather than moving the email thread forward, and your recipient may not even know what you want from them. No bueno. I plan to hand off this graphic to our design team by Friday. Would you please send me your feedback by Wednesday? Let’s meet at Emilio’s for lunch. Does 12:30 p.m. on Tuesday work for you? Would you like me to send you our research when it’s finalized? Please pass this info along to your teammates. Thanks! Good email communication eliminates guesswork for the recipient. 2 I’m eager to receive your feedback. If you don’t have a hard deadline (“Get back to me by Wednesday”), closing your email with a request for feedback is perfectly appropriate. Just keep in mind that this sort of closing is a bit softer than requesting input by a specific date. It works best if you’re hoping for a reply, but you’re not necessarily expecting it. 3 I appreciate your quick response. 4 Always happy to hear from you. This one says “Hey, my inbox is always open!” It’s breezy and informal, and it works well for recipients you have an ongoing dialog with. This closing doesn’t insist on an answer, so use it only when you’d welcome a response but you don’t need one. Here’s a tip: Which one is grammatically correct: “I look forward to hearing from you” or “I’m looking forward to hearing from you”? They’re both correct, but one of them uses more active language. Am looking is weaker sentence construction—looking requires an auxiliary (helper) verb, (am), in order to make sense. I look forward is a better choice. 5 Keep me informed . . . Sometimes, you need a reply only when the status of a project changes. In these cases, it’s appropriate to end with something like “Keep me informed of any updates.” Go ahead and be as insistent as you need to be. If it’s critical that you receive project updates, say so. 6 I await your immediate response. You’re not messing around here. You need a reply yesterday. Save this closing for when your recipient has delayed and you need to be firm and no-nonsense. But be aware that this closing conveys a serious, even angry, tone. When you use it, you’re doing the written equivalent of glaring at someone while tapping your foot and saying, “Well? I’m waiting.” Use it sparingly. Unless, of course, you work in the collections department. In less formal emails, “Write soon” is a cheerful sign-off that lets the correspondent know you’d like to hear from them without actually demanding action. Use it for friendly communication, such as writing to a close friend or relative. Just keep it out of your business communication; it’s far too casual.